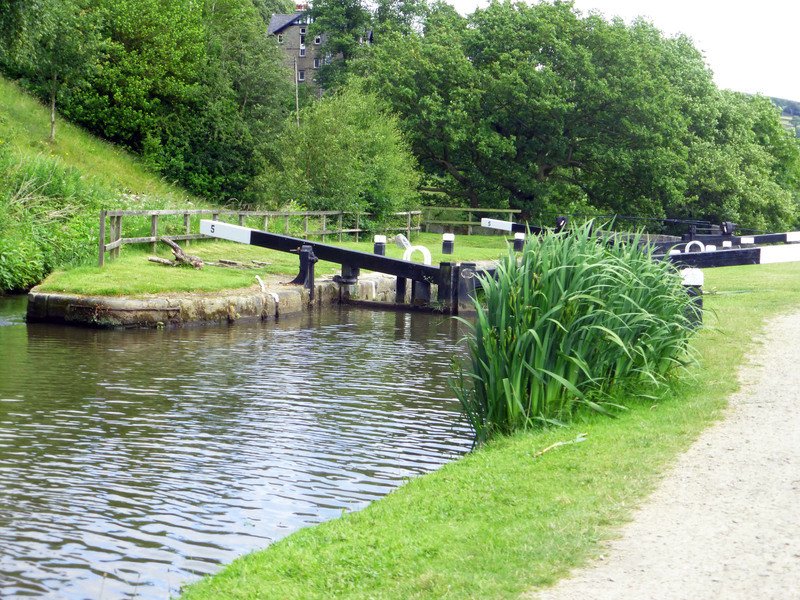 We often walk along the canal to Mytholmroyd, but had never ventured beyond. At the other side of the village we took in a different view of the industrial estate and walked on to the cricket club. The next section of canal proved very picturesque. 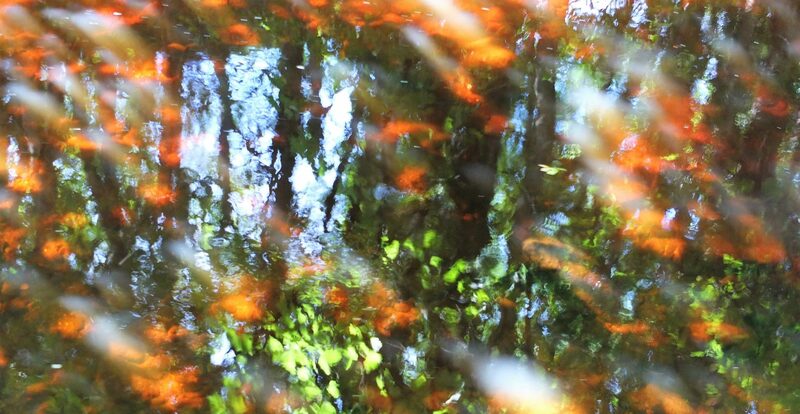 A passing old man told me interesting facts about how the canal used to be a mess until not long ago and his grandma who lived in the nearby ‘spring cottages’ (so named yes, you guessed it, because a spring ran through them which was just as well as there were no taps back then). We realised we had overshot the hamlet and started to make our way back, stopping at a pretty lock for en route. Locating Brearley, we walked over the river bridge and passed the chapel aiming to go back a different way. 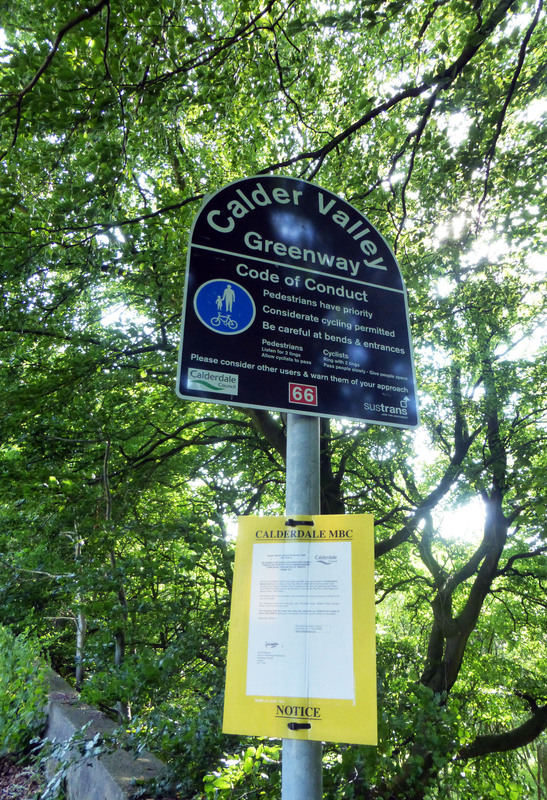 We found the ‘greenway marked with amusing polite notices requesting ‘courteous cycling’’. 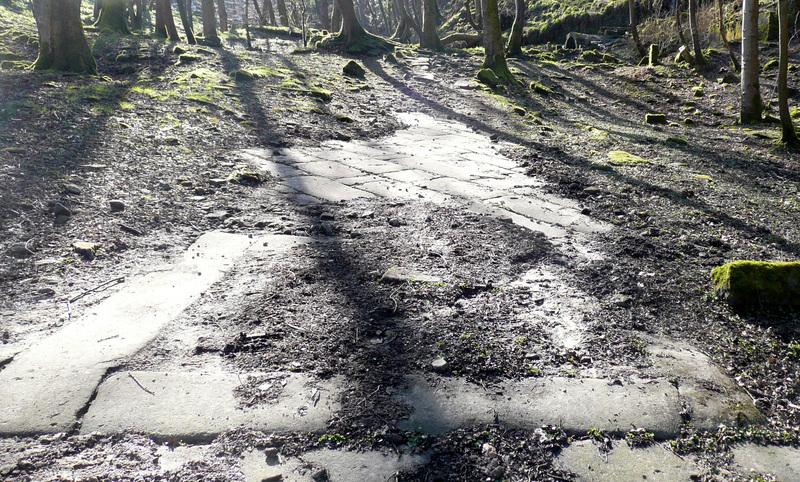 Unfortunately the path was shut due to ongoing work. 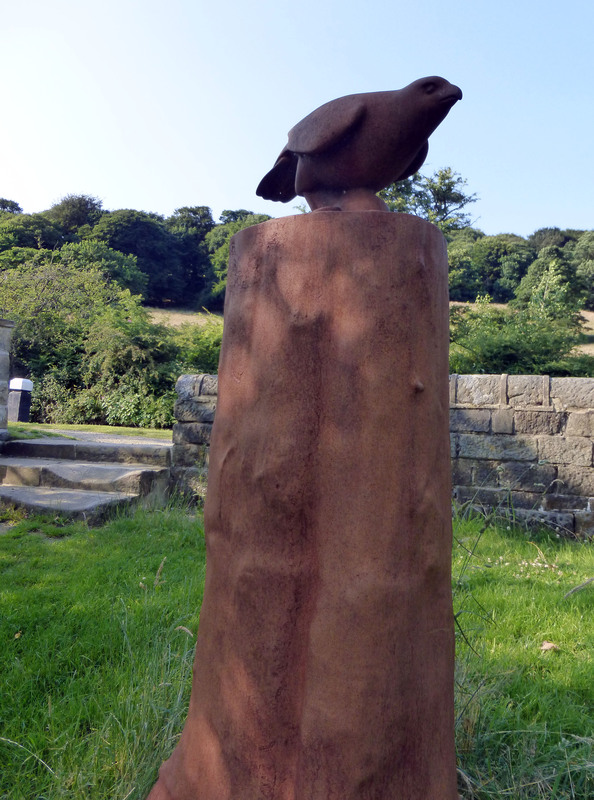 This entry was posted in archaelogy, heritage, landscape, photography, walking and tagged archaeology, Brearley, Calder Valley, Greenway, Hebden Bridge, lock, Mytholmroyd, Rochdale canal, sculpture, Yorkshire on August 11, 2015 by Hepdene Rose. 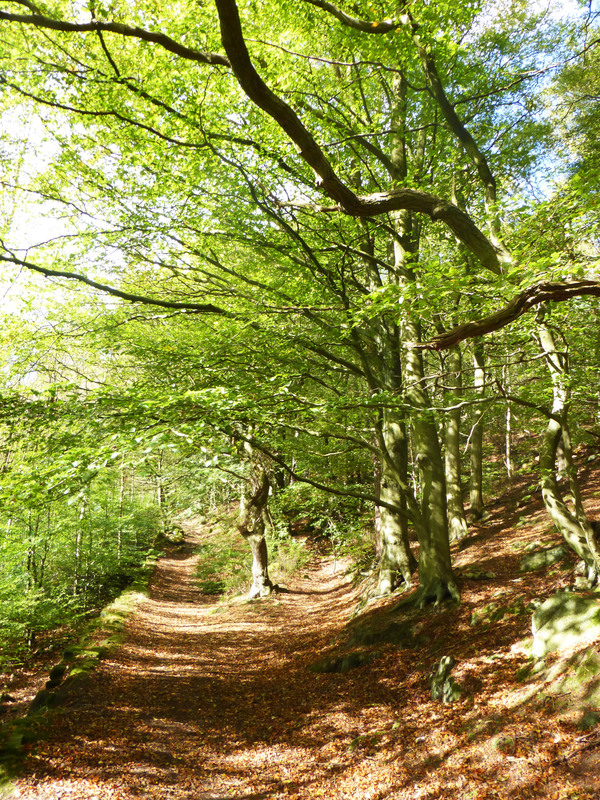 An alternative to the ever-popular Hardcastle Crags, a ramble through the nearby Crimsworth Dean took us on a journey through numerous landscapes. At the top of Midgehole Road we skirted the edge of the crags passed the overflow car park. We walked up the bridleway, and climbed, and climbed. Soon after the apex we found a small path going down to the right and headed through woods planted in the 1830’s with Scottish spruce and beech. 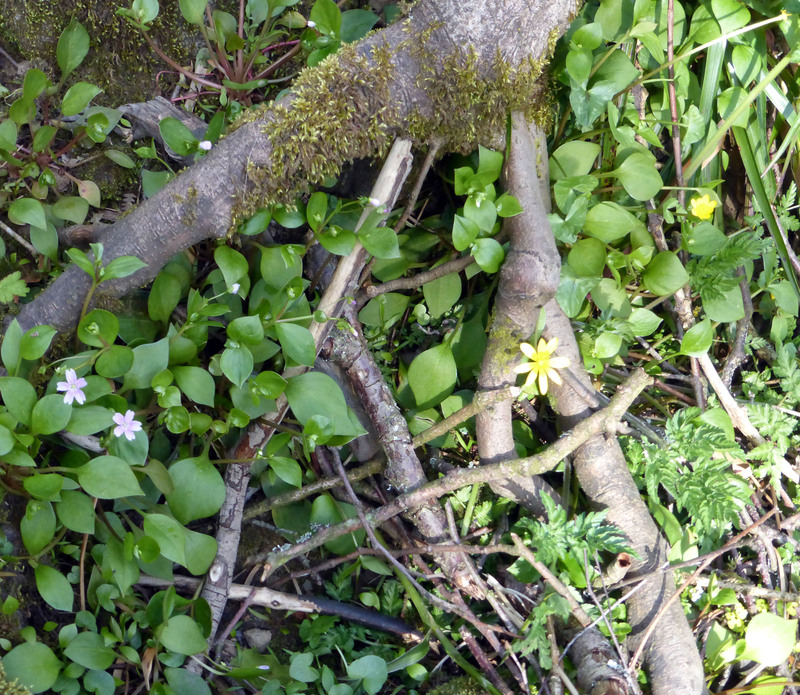 We took time to admire spring flowers and tiny birds flitting amongst the trees. Descending further, we navigated across felled trees, impromptu streams and small waterfalls until we reached a very pretty bridge over Crimsworth dean brook. After crossing we turned right again and followed the line of the brook on the other side of the clough. The landscape changed every time we passed over a boundary. 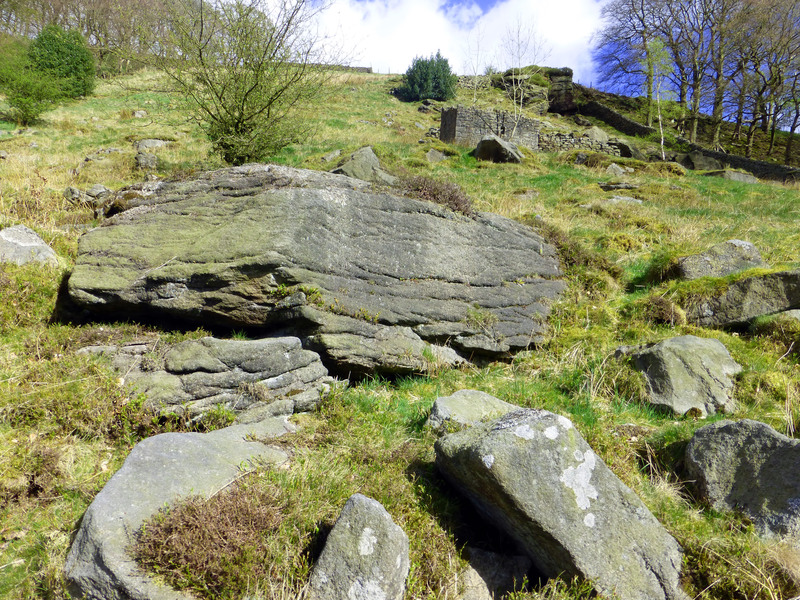 From a posh garden and through wetland, we came into a moor-like field, complete with tiny ruins and huge stones. A perfect spot for a picnic. 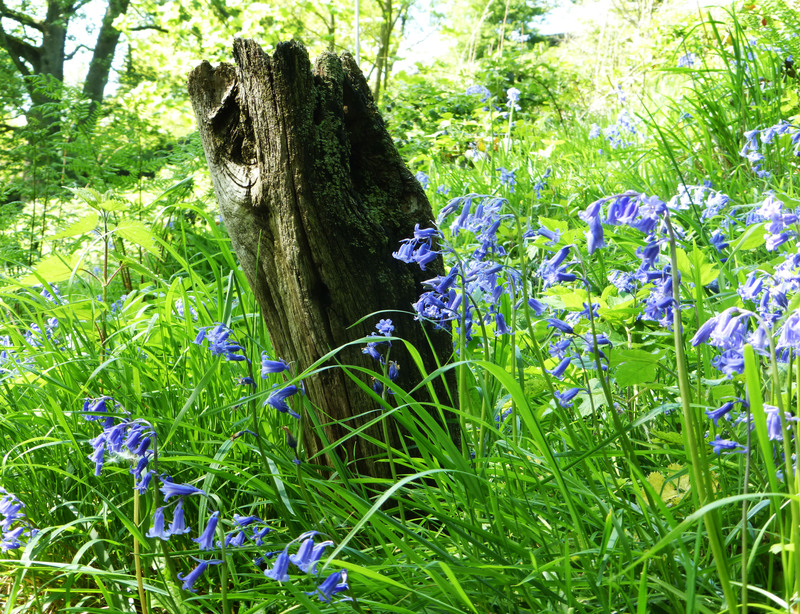 The next boundary brought us back into woodland. We came across a crop of garlic. Pausing to pick some, we discovered most of it was growing in bog making harvesting rather tricky. 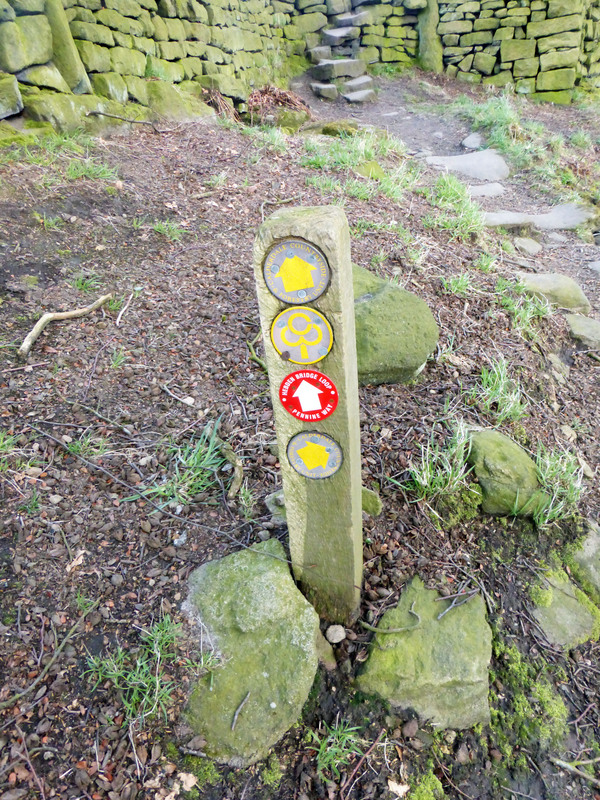 We then chose from two paths to go down to the water’s edge. This took us to a series of industrial ruins. 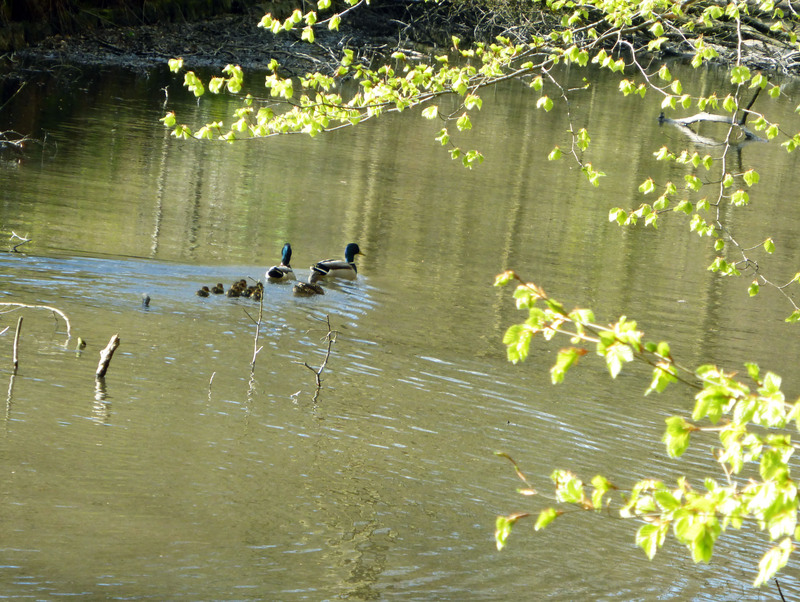 On an old mill pond we took time to watch a family of ducks calmly paddling away from us. 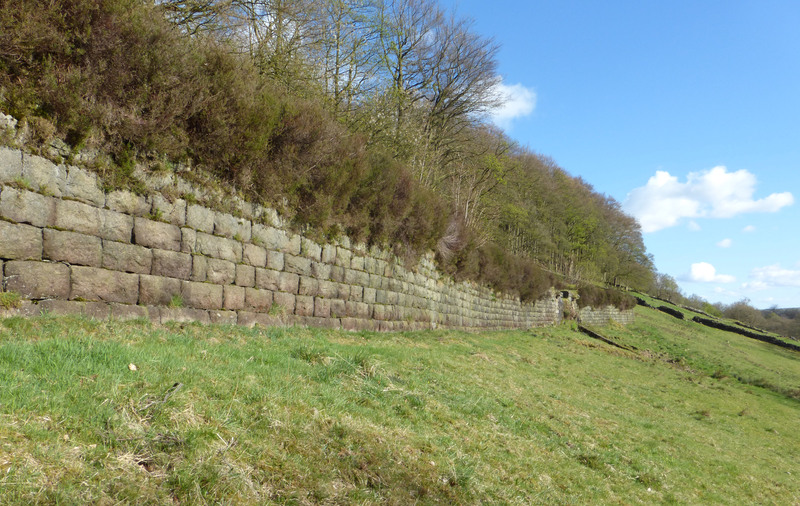 We then proceeded along the man-made landscape and came upon a huge dam wall. 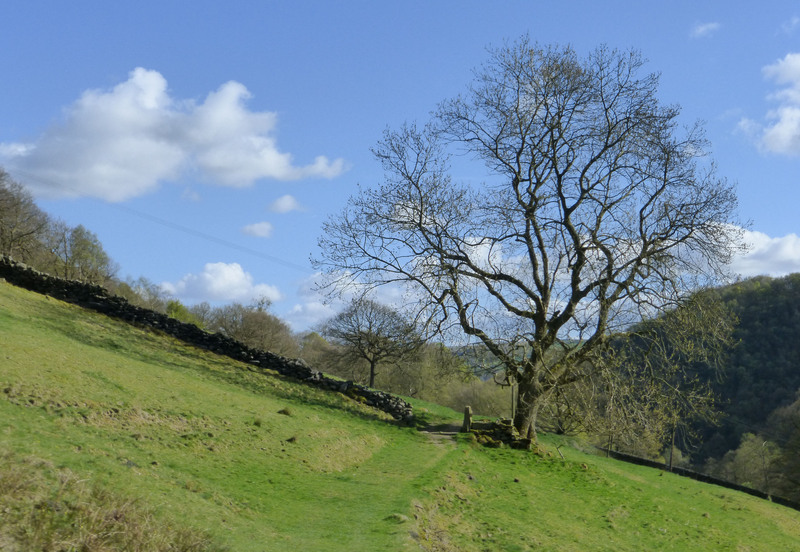 We marvelled at its dimensions then carried on into a more pastoral scene where lone trees adorned pretty green fields. Pausing again to take in the views, we came out through a wooden gate back onto Midgehole road. 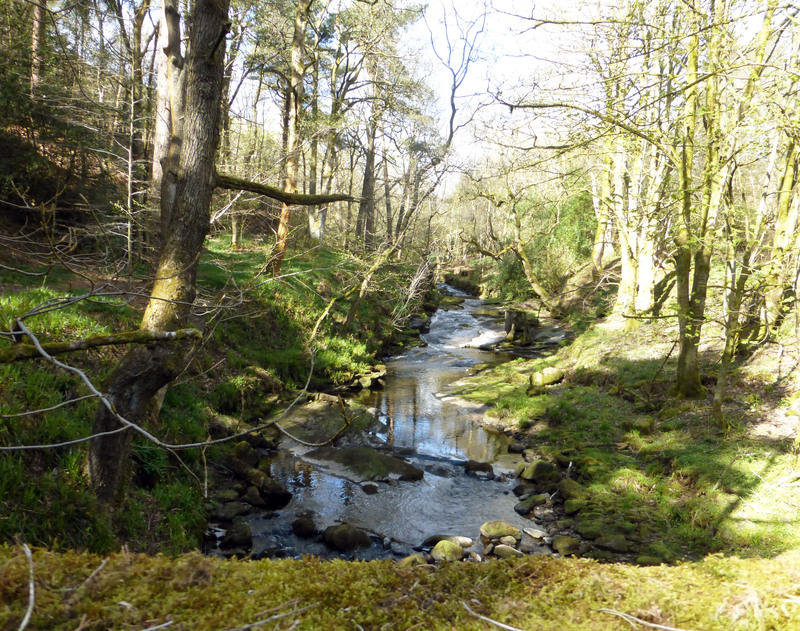 This entry was posted in archaelogy, landscape, photography, walking, woods and tagged archaeology, beck, beech, bridge, Calder Valley, clough, Crimsworth dean, dam, Hebden Bridge, industrial heritgae, ruins, woods on May 7, 2015 by Hepdene Rose.